KUALA LUMPUR, Indonesia (AFP) — A Vietnamese woman on trial for assassinating the North Korean leader’s half-brother is expected to learn next week whether her second bid for freedom has succeeded, her lawyer said Thursday. 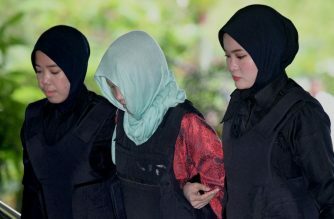 Doan Thi Huong is accused of murdering Kim Jong Nam with nerve agent VX at Kuala Lumpur airport in 2017, in a Cold War-style hit that shocked the world. Her co-accused — Siti Aisyah from Indonesia — was unexpectedly released earlier this month after prosecutors withdrew a murder charge following pressure from the government in Jakarta. 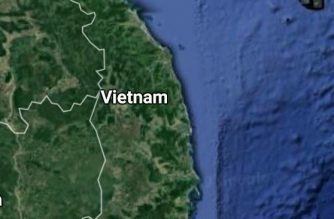 But a few days later, Huong’s request to have her charge dropped was rejected, sparking anger in Vietnam and accusations of unfair treatment. The 30-year-old’s lawyers have lodged a second application to the attorney-general seeking her release, and on Monday prosecutors are expected to announce his decision in court. 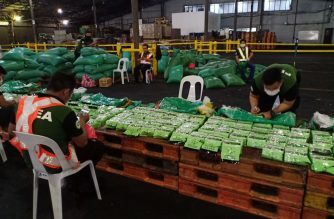 “The second representation was essentially to the attorney-general to reconsider his rejection of the earlier representation,” her lawyer, Hisyam Teh Poh Teik, told AFP. If the trial goes ahead, Huong is scheduled to testify. After prosecutors refused to drop charges against Huong, she sobbed in the dock and had to be helped out of court by police officers. Both Huong and Aisyah denied murder, insisting they were tricked by North Korean spies into assassinating Kim, and believed it was a prank for a reality TV show. Huong is now the only person on trial for the killing, and could face the death penalty if convicted. Her lawyers say she is a scapegoat and the masterminds were four North Koreans who fled Malaysia shortly after the assassination. 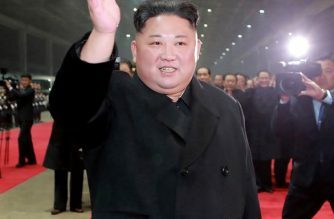 South Korea accuses Pyongyang of plotting the murder of Kim Jong Un’s estranged relative, who was once seen as heir apparent to the North’s leadership. The North denies the claim.